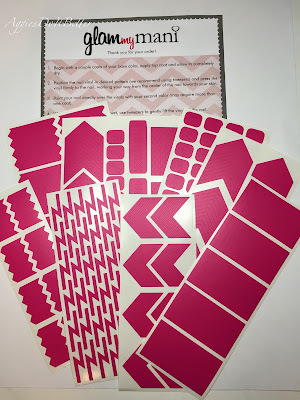 Aggies Do It Better: Aggies Do It Better Favorite Things Giveaway 2014! Aggies Do It Better Favorite Things Giveaway 2014! Howdy! Today' blog is all about the giveaway I'm running over on Instagram! It's not to celebrate a certain number of followers or anything like that, just something fun for the end of the year! All of these items will be given to one winner, chosen at random, on New Years Eve! Yay! If it goes well I would like to do this every year! This is a compilation of almost all my favorite things I have been using this year and as I'm coming to the end of my first year of this newly-launched blog ( I guess I can't say new anymore!) am still loving! 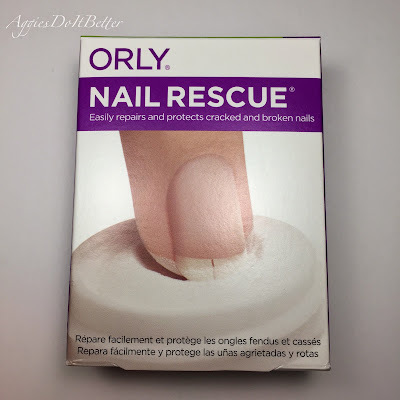 Next is a brand new box of Orly Nail Rescue! I recently discovered this stuff and it has saved me from so many disasters! Everyone needs it! 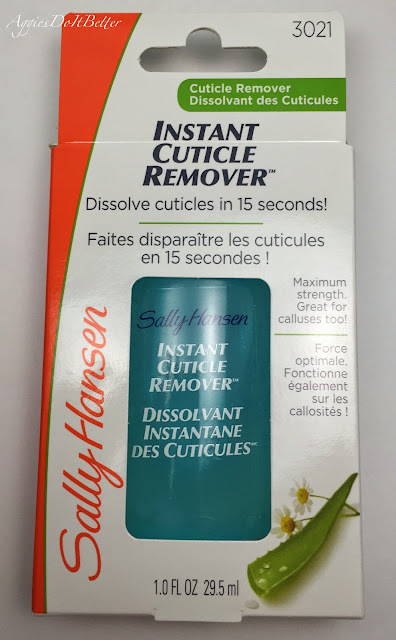 This is the only cuticle remover I use. 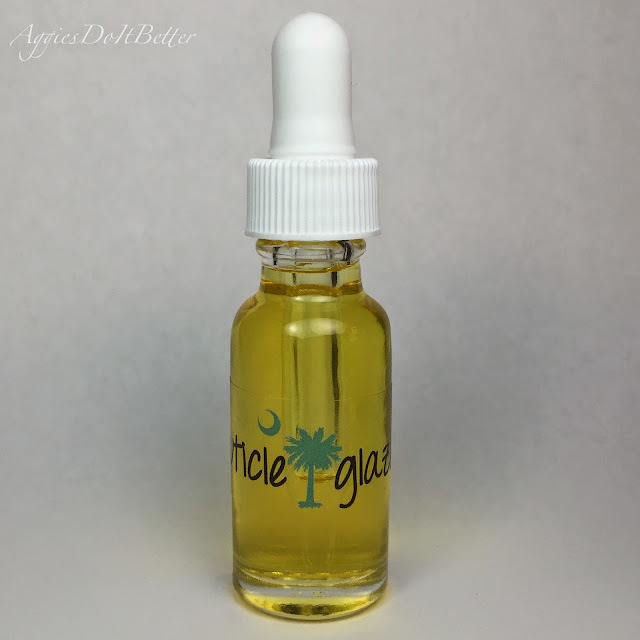 It lasts forever-I'm still on my first bottle and I use it about once a week! It has really made a visible difference in how my nails look in pictures. 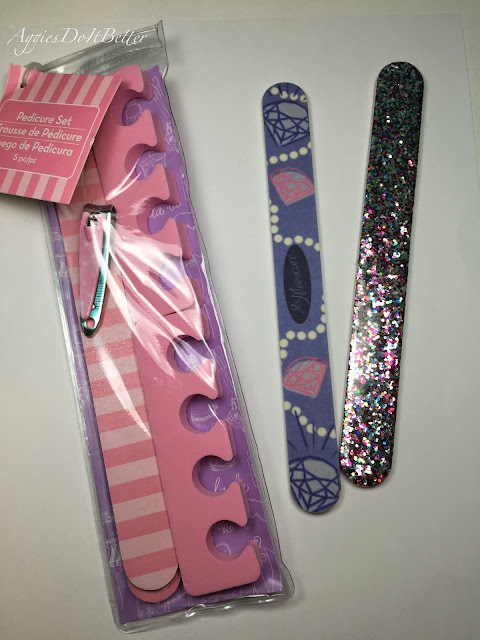 Here are some more supplies from Sally's that I love. 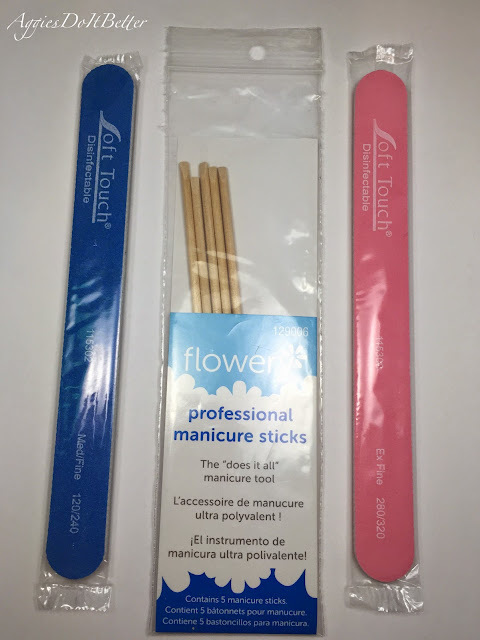 In addition to my crystal file I use these blue and pink ones daily! the blue one is really good for taking down length. I use these orange sticks to push back my cuticles with the remover above and scrape the excess off, and just anytime they need to be pushed back. They also have many other handy uses! Let's get on to the polish, shall we??? 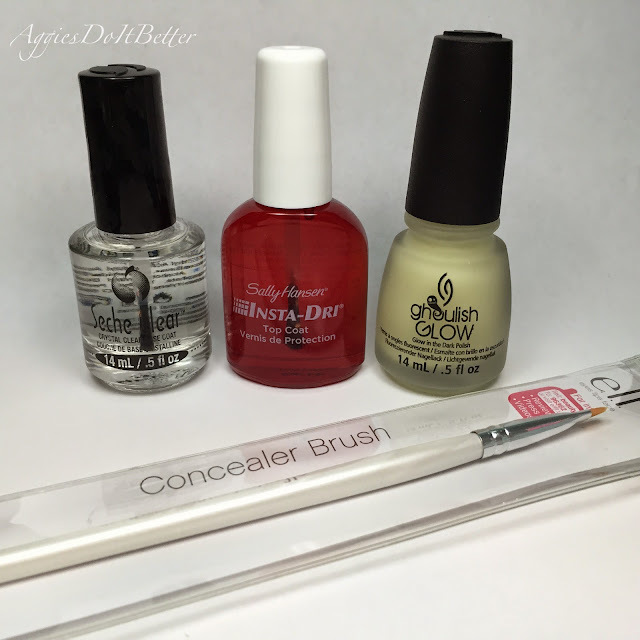 The winner will also receive the full OPI Gwen Stefani polish collection! (not including the separate boxed polish)!!! The winner will receive Seche Clear basecoat, Sally Hanson Insta-Dri topcoat, and China Glaze Ghoulish Glow glow-in-the-dark topcoat plus and elf concealer brush that so many of us use for cleaning up polish around the cuticle areas! I also have a well known addiction to lip balms...here are my favs tho! 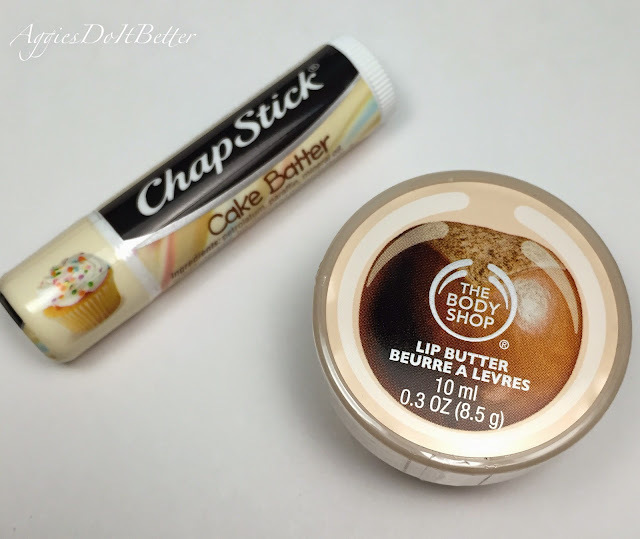 Chapstick Cake Batter and The Body Shop lip butter in Shea! 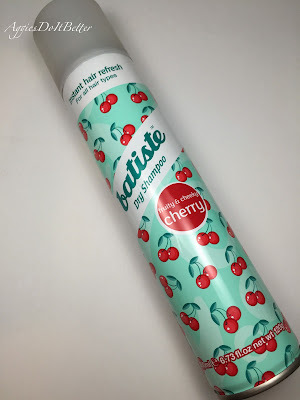 This is also a product I could not have lived without this year. The winner will receive a full size bottle of Batiste dry shampoo in cherry, my fav of all the scents! 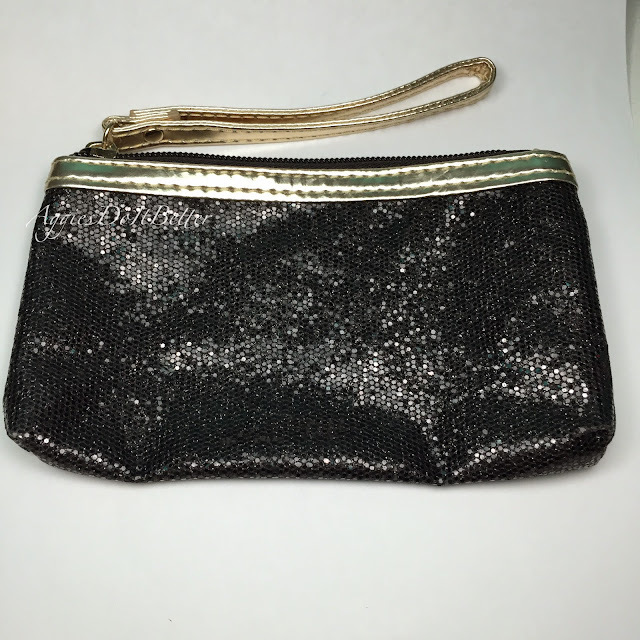 Lastly a cute black sequined cosmetic travel bag! yay! 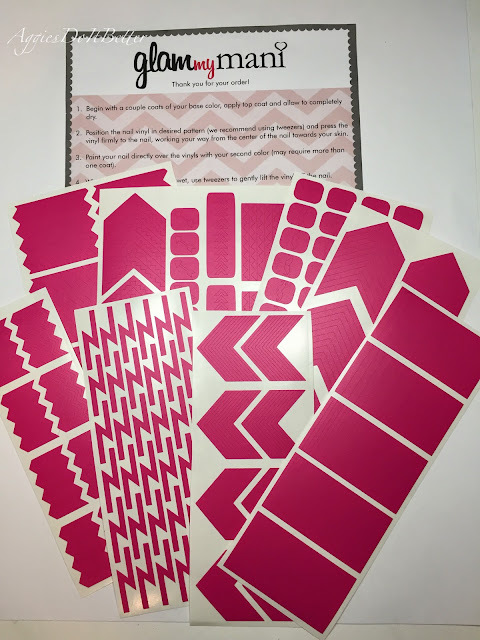 awesome giveaway Jen! Can't wait to see who wins!